Have you ever wondered about the trees around you? What are their names? What makes them each unique? What resources do they provide? How do they benefit our lives? Our blog was created to help you "Meet A Tree", learn about how every tree is as unique and individual as you and I! 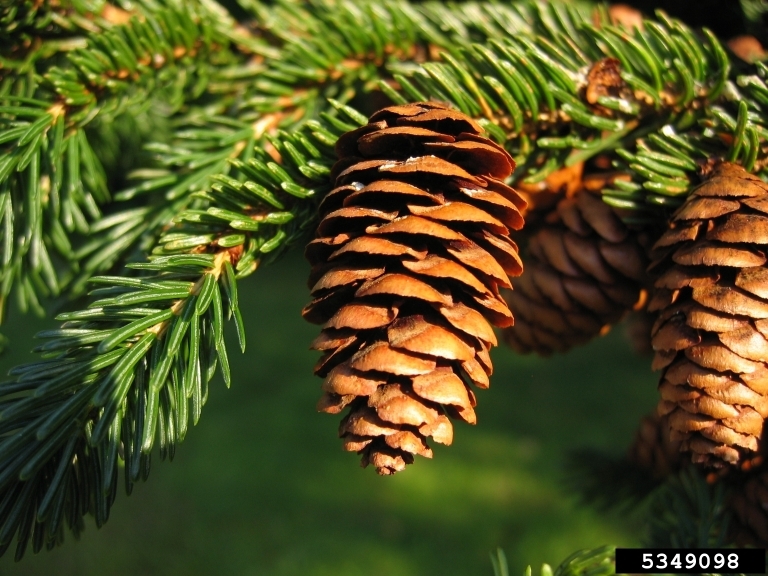 The Red Spruce - Picea rubens is a small-mid sized tree that can reach 50-80 feet tall. 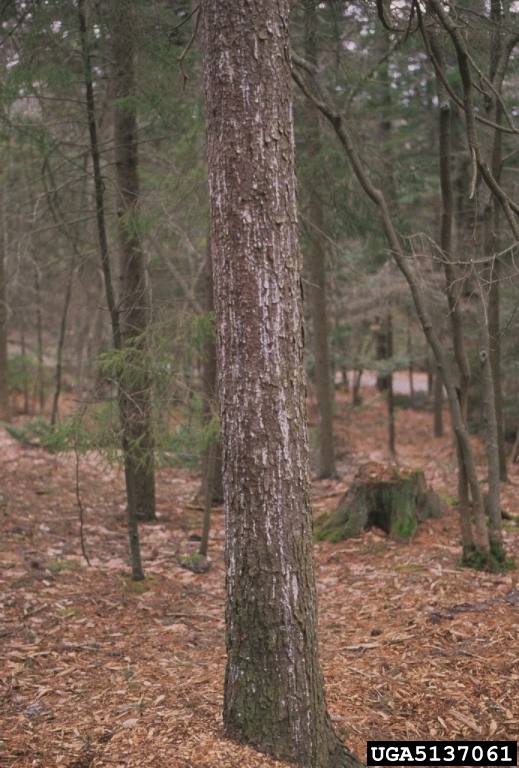 Red Spruce is a long lived tree that can live to be well over 400 years old. Red Spruce can be found growing from Canada in the North through North Carolina, Tennessee and Georgia in the South. 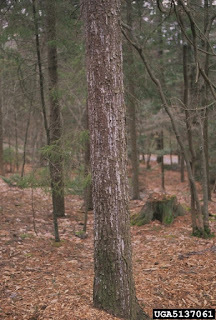 The branches on the Red Spruce are close in proximity to one another, growing straight out from the trunk and gently sweeping upward near the ends. The wood of Red Spruce is light in color and weight, straight grained, and resilient. This type of lumber is used for making paper, construction lumber, and stringed musical instruments. 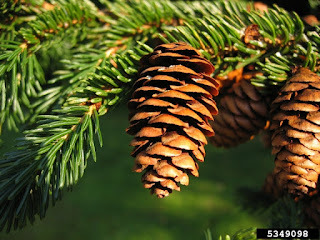 Red Spruce is moneocious, with male and female flower buds occurring on the same tree but different branches, each year in May. The pendant male flowers are bright red while the female flowers are erect and bright green in color with a hint of purple. The seeds are small and winged, borne in cones. Cones mature from about mid-September to early October, the autumn following flowering. Cones are 1.3 - 1.5 in long, light red-brown, with rigid, rounded scales that are slightly toothed on the edges. Cones are receptive to pollen only when fully open, a condition which lasts briefly for only a few days. The needles are easily identified, they are shiny yellow-green on all sides and point out in all directions very much like porcupine quills. The needles are stiff 3/8 - 5/8 inch long, sharply pointed, four sided and awe shaped.